Moonlio: Automatic Cryptocurrency Portfolio Tracking Exchange App? Moonlio is online platform that enables users to track and analyze their cryptocurrency portfolios. The platform seeks to simplify the process of monitoring and evaluating how much profit and net worth value each cryptocurrency has brought to the investor. Moonlio uses data from CryptoCompare to evaluate existing cryptocurrencies and know their current market values. Currently, the platform does not have a mobile application but it offers users with a user friendly and responsive website for tracking their portfolios. There are two categories of the features: basic and premium. The basic features are always free while the premium features requires users to subscribe to the plan by paying a subscription fee. However, the premium features are still under development. The platform synchronizes with some of the major cryptocurrency exchanges such as Coinbase, Binance, BitFinex, and Kraken. This feature enables users to track and compare the prices of their cryptocurrencies various exchanges. Once a user signs up on Moonlio they are required to provide their read-only API keys in order to import their wallets and portfolios to the platform as Moonlio runs using a user’s API keys, which enables the platform to view the account balance, and trading history of the user’s trading accounts. The platform supports almost all the cryptocurrencies in the market today, provides all the metrics regarding the coins, and therefore makes it easy for users to decide which coin they will invest in. 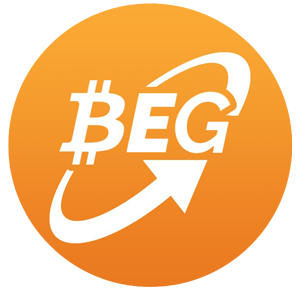 Users can also make submissions regarding coins and exchanges that they would want to be included on the platform. The first users of the platform will receive a $100 credit, which they can use to subscribe to the premium plan and access additional features. Moonlio uses SSL connexions and encryption software to secure the user’s API keys and prevent unauthorized third parties from accessing information about a user’s account balance and transaction history. Previous ReviewBitcoin’s Volatility Index Near Record Lows: Stable BTC Price Good Or Bad? Next ReviewInvestInCrypto.co: Learn Bitcoin Trading From Crypto Experts?